Nowadays it seems as though everyone has busy lives, juggling multiple jobs, schooling, a family life, and personal life all at once. It can be tough to find the energy to get everything done in one day, and often it can feel as though there are not enough hours in the day. While exercise can certainly help to give you that boost of energy, it isn’t always easy to fit it into your day. No matter how busy your day is, you’re going to find time to eat – at least a few times during the day. So why not use food as your tool to provide you with energy? Here’s a look at some of the top energy enhancing natural foods that are sure to give you the boost of energy you need. Not only are nuts and seeds an excellent snack to have any time of the day, they are also known as “brain food”. What this means is that it can help with your focus, concentration, and memory. Just think how beneficial this can be, especially if you’re a student who is busy studying for their degree, such as the online doctor of education. Nuts and seeds are filled with Vitamin E, which helps with your cognitive abilities. 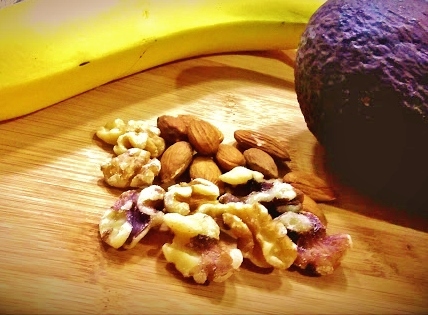 Snack on almonds, walnuts, cashews, sunflower seeds, hazelnuts, peanuts, flax seed, or sesame seeds. If you'd rather, you can even enjoy these in a nut butter form. It’s a surefire way to kick start your brain and your body while you immerse yourself in your online EDD program, your work, or even just getting tasks done around the house. Here's another perfect snack food, or an accompaniment to a fabulous recipe. Avocados help to lower blood pressure, promote healthy blood flow, feed the brain, and energize you. If you’re in a hurry you can always make an avocado smoothie and throw in some other fruits and veggies. This can make for a great breakfast on the go. As far as grabbing a snack on the go it doesn't get easier or faster than a banana. There is no preparation involved, no utensils needed, it's just ‘grab and go’. Not only that, they can be enjoyed any time of day or night, with or without a meal. Bananas are high in potassium, which will give you that energy boost without fear of crashing like sugar will have you doing. While this isn’t a food, it certainly has the same level of satisfaction and results. Sometimes when we think we are hungry our body actually just needs hydration. There is no better drink than water for the health of your body. You’ll feel more energized and will be able to focus on the task at hand. With the help of these foods, you’ll have the energy you need to get on with your day and accomplish all you need to do, without the fear of burning out.